Heat oven to 350°F. Grease bottom only of 13x9-inch pan or spray with nonstick cooking spray. 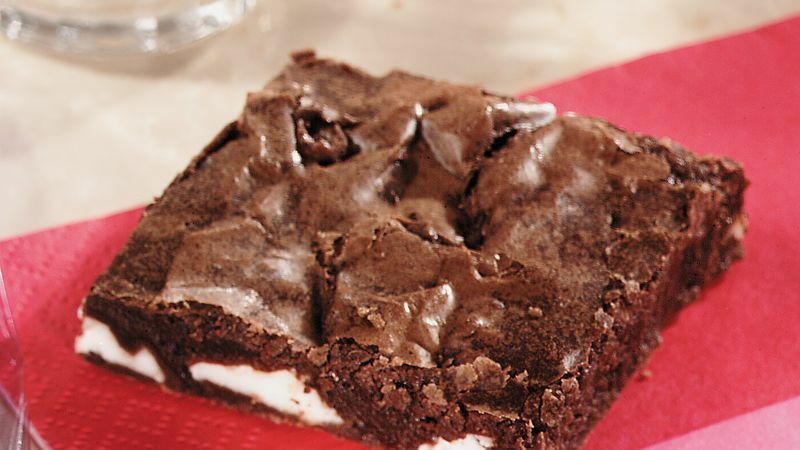 In large bowl, combine brownie mix, oil, water and eggs; beat 50 strokes with spoon until all dry mix is moistened. Spread half of batter in greased pan. Sprinkle quartered patties in single layer over batter; press lightly into place. Spoon remaining batter over patties; spread gently to cover. Bake at 350°F. for 28 to 30 minutes. DO NOT OVERBAKE. Cool 45 minutes or until completely cooled. Cut into bars.